Zinc coming with a totally original concept here, mixing all styles of (bass music) as we know it now. the albums tempo increasing from start to finish, hence the title. Zinc embrased what was going on in the London underground at that time, becoming part of the breaks, garage, dubstep (dark garage then) & of course d & b scenes & creating this amazing album. 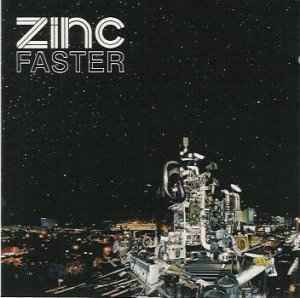 Great concept, great execution: an album that becomes faster in each song, that isn't only drum n bass but future jazz, 2step, dubby bass music and breakbeat too, and which flows so well that I can't understand how Zinc hasn't released another proper album. Not so aimed at the dancefloor as the rest of his productions, "Faster" is a great jazzy effort with Angela Hunte as the vocal diva (with no vocoder as in "I need air" this time), variety, 70's inspiration, some bladerunner-ish works of downtempo (Illa/Departure), big band samples... all very well programmed, played, edited. A perfect album.